Finding a cold weather glove, it has finally happened. I found the bottom of the Sealskinz Halo glove’s effective temperature range. Before you start to think I went on some wild adventure like the Goonies search for One Eyed Willie, you should know that it has been a pretty mild winter by Minnesota standards around here. Basically, the Halo leaves me looking for more around 15 degrees. Normally, that’s colder than 90% of the riders out there will endure, but like me, there are a few lost souls who ride through it all (or almost through it all). For us, Sealskinz promises to have us covered with the Highland Claw glove. Let’s take a look at what makes it special! The Highland Claw glove is a “lobster claw” style glove that intends to maximize your body heat by pairing your fingers together. You are left with the pointer and middle finger as well as the ring and pinkie finger paired up like a Vulcan salute. 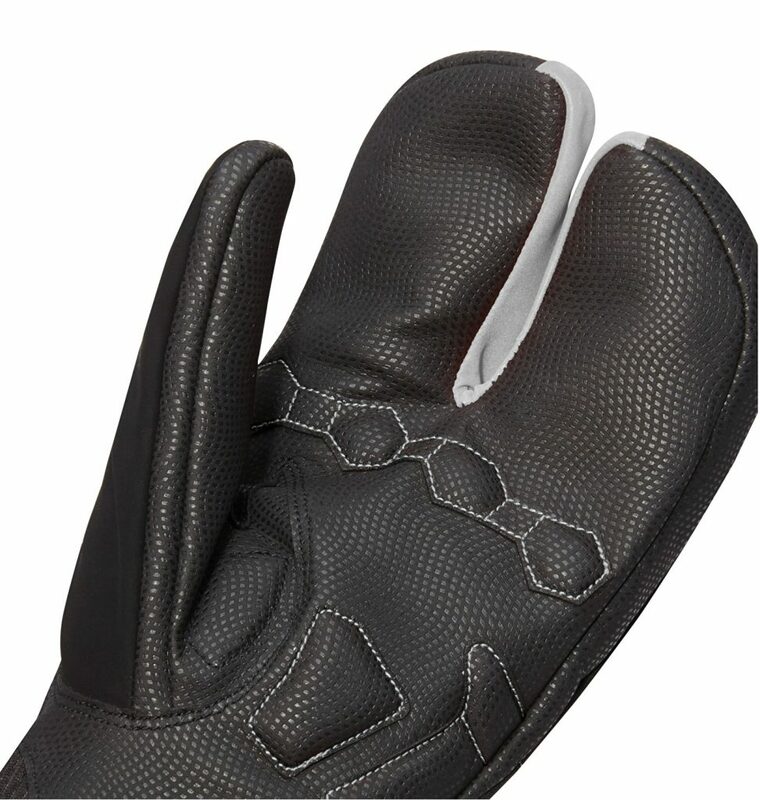 These gloves are fully water/windproof and boast more insulation than the Halo glove. Like always, special care is taken with the packaging to ensure no holes are put in the glove. Details of the Highland Claw. 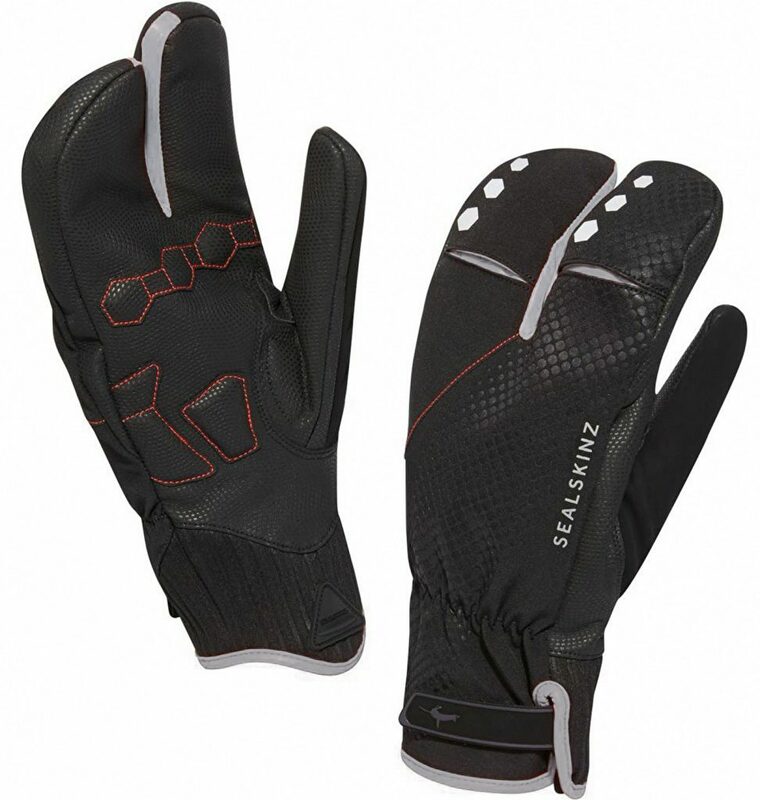 The gloves have what feels like a durable outer shell and soft synthetic suede thumb. 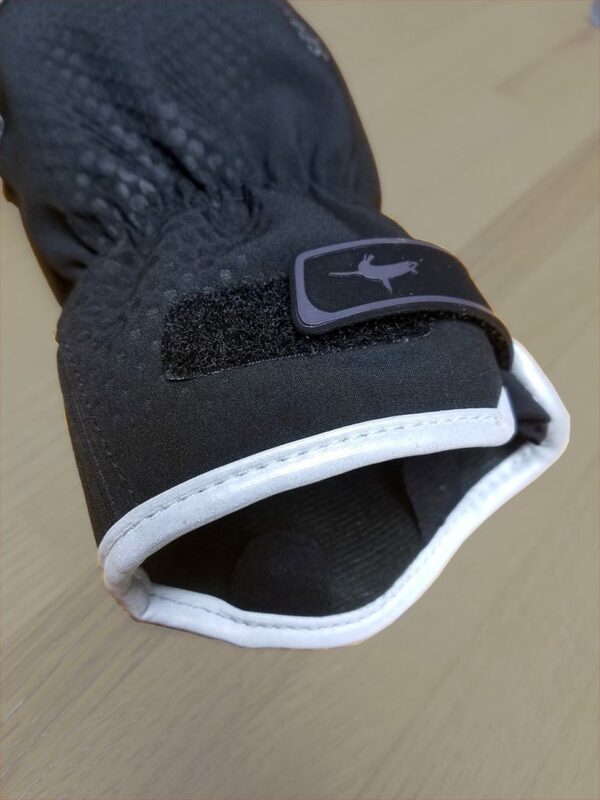 Closure for the glove is handled by a single Velcro strap paired with some elastic in the cuff to keep things snug. The palm is similar to the Halo glove so I expect it to be just as durable and comfortable. Additionally, the glove has a couple cool touches to aid in visibility. Between the fingers, at the knuckle, and on the fingertips, Sealskinz has included reflective material to keep you visable. I received a pair of XL gloves Highland Claw Gloves. They come in sizes ranging from small through double extra-large. While I usually wear the largest glove size from any manufacturer the XL seems to fit really well, which is good news for my large fisted friends. When trying on the glove I found that my fingers easily found their place and came out of the glove easily. Usually, when you add insulation, gloves don’t always want to release your hand well, but it appears Sealskinz has worked some magic to bypass this problem. The Velcro cuff is a nice touch, but probably not needed as the elastic held things in place well. The cuff detail on the Highland Claw glove. Right off the bat, these gloves felt warm, noticeably warmer than the Halo glove in fact. This isn’t a dig on the Halo but a testament to the Highland Claw. I’ve worn the gloves as low as -2 with no issue, but haven’t yet gotten the chance to ride with them much below the teens. It appears the mild winter we all were hoping for here in Minnesota in unlikely. We are expecting highs in the negative range next week, so I will have ample opportunity to see how warm these gloves can be. In reality, if they stay warm through the single digits, that’s more than I can hope for. 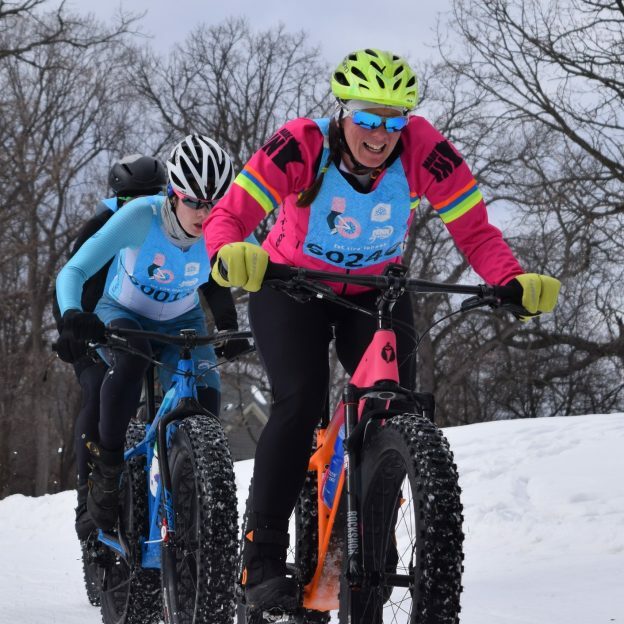 Riding below zero takes a commitment of mind and gear that I really don’t encourage for most. Also, once you get into the negative temps, there is no amount of gear that does anything but buy you time. The right gloves might give you an hour, but eventually, jack frost wins. Stay tuned to hear how much of a fight these gloves put up in my mid term review. This entry was posted in News and tagged best gloves, best winter cycling gloves, best winter gloves, cold hands, cold riding glove, cold weather riding, commuting by bike, good winter bike glove, keeping hands warm, lobster claw gloves, sealskinz, Sealskinz Claw, Sealskinz glove, Sealskinz Halo Glove, Sealskinz highland, Sealskinz Highland Claw, warm biking gloves, warm hands, winter riding on December 30, 2017 by John Brown.